Perception is reality and it certainly seems the public likes big and tall and CF has done very well with this method. SIX does well with Larson Loopers as does Disney with dancing mice. I have no clue if KI wants, needs or will ever get a Giga, but if they do it isn’t going to hurt attendance or impact my decision on which park to go to on any random day. Weather and where we went last has the most impact. One thing is for certain, it isn’t the mayflies and muffleheads that keep bringing the crowds back to CP. Who cares if one is an industry fan, a simple coaster enthusiast or an American Dumpster Enthusiast? If you aren’t happy with the crowd here move along, I am sure you can find a happy place on the internet. I heard they are getting a Giga i mean what else would they be using the land for dinos for unless its a ground up RMC? Not a coaster, but Flight Commander here at Kings Island was an Intamin. The death on it was caused by improperly designed restraints. Wasn't that person also not in the right state of mind or drunk when this happened? I think there was more going on then just the restraint if I remember correctly? She was drunk and had gone limp (passed out). Same thing would have happened had someone fainted, had a heart attack, etc. Yeah that makes sense. All I know is I love Intamin haha. We can just leave it at that. Back on the what year do we think. I am guessing 19 or 21. CP will get the coast in 20 due to the anniversary. That is just my thoughts. That is the exact type of attitude that I'm talking about. 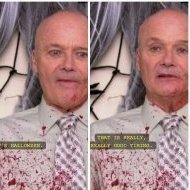 There is a small, yet very vocal group on this site that are so aggressive toward opposing opinions. I may have just started posting a few months ago, but I've been reading these forums for years. I've noticed a downward spiral in the level of respect and discourse from those completely obsessed with a giga. Since I have started speaking up, countless users have reached out to say how they don't feel welcome and have simply stopped engaging with the community. Is that really the reputation we want? Are we so obsessed with one singular ride system that we are willing to push people off the site, and scare away others from even registering? There is a culture problem going on here. 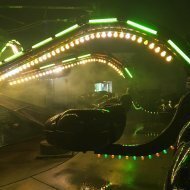 This site should be welcoming to all KI fans, not just coaster enthusiasts. I'm sure people will reply to this saying that it already is, but that simply isn't the case. I'm someone who doesn't care about getting yelled at by others on the internet, but a lot of others do. So many people have simply given up on KIC or decided to not join. I don't think that should be the reputation we strive for. Even if things do get a bit passionate and heated, come on, this is a speculation thread and not much should be taken to seriously or to literally. No one's yelling at you @LoadAndGo. Everyone's welcome on this site unless you're a troll who has nothing to contribute. 1. Simply saying that everyone is welcome, and creating an environment where everyone feels welcome are two different things. You fail on that second part. 2. Telling someone who is speaking for a group of people that don't feel welcome that they are wrong is not the way to address the issue. The correct response is to do some self-reflection and keep it in mind in the future. Like I said, I don't care about being disliked. Others do, and they have chosen to leave or never join. I'd like to see that change. There's literally millions of different things they could do with that area. Dinos was removed due to its age and lack of maintenance (which is both the fault of KI and Dinosaurs Unearthed). Do not try and trap yourself into the mindset that it could ONLY be a giga or RMC; you will set yourself up for disappointment, every time. 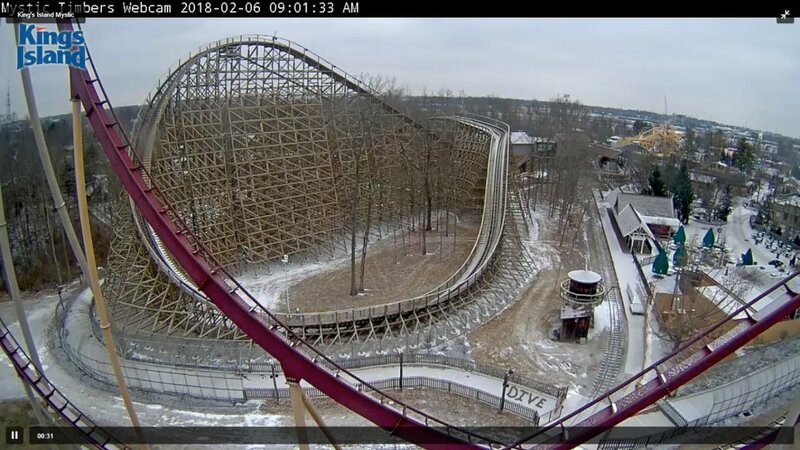 KI and CF are all about ROI, and based on the popularity of Mystic, we could very well see another good woodie sometime in the near future. SOB 2.0 with all that terrain down there? There's literally millions of different things they could do with that area. Including doing absolutely nothing with it and not having to staff the area. Yep I was gonna say something similar but decided not to, since pretty much half the park's area is unemployed/undeveloped. No, CF was renewing KI's contract on a yearly basis since 2016 (16 & 17). You're half correct, but IMO there's a difference between exhausting a contract and failing to renew it. While a Giga coaster would be a KI die-hard enthusiast's dream, I do not believe that the park needs it quite yet. Kings Island still has open vacant lots to add in flat rides to add to their attraction line up and has a big box o'FUN (Is that slogan still being used?) to deal with in RiverTown. Kings Island, in my opinion, needs to diversify in their portfolio of attractions before getting a record breaking Giga. Now, if a Giga were to come to Kings Island here is my main speculative prediction. Station would be either in the fields near Action Zone or back near X-base with the main course running past the river and the fields in the back of the property. 310-350 ft would probably be the range with a length similar to that of Fury 325 if not the slightest bit longer. Theme would probably be a main key to the station/queue area but no further than that. 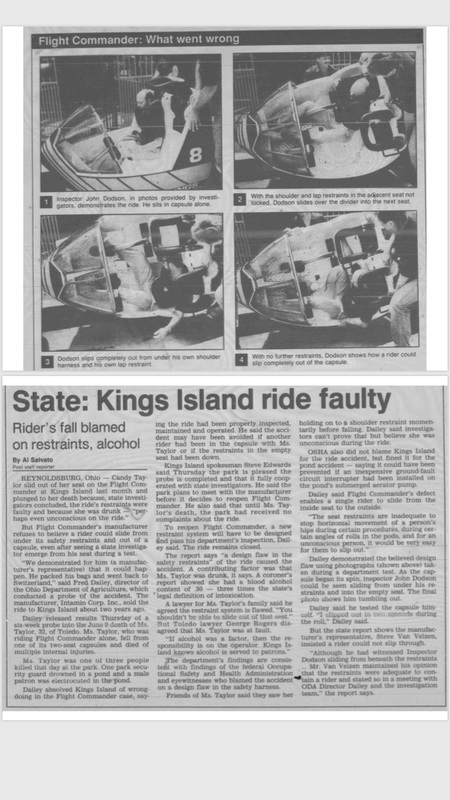 In regards to flat rides....have they ever announced what they received from their Japanese "hunt" for rides to rehab? Cedar Fair cares about ROI, which means revenue and EBIDTA increases. This is an incorrect notion, " All they care about is the park and putting in the coaster." Nobody that knows anything about parks or the industry claimed , CP having a invert and/or a hyper had any influence on KI getting either. Btw, again the notion KI is any competition for KI with you're ridiculous notion of "scared CP fanboys" shows how little you know. CP's EBIDTA of 128M is more than twice KI's EBIDTA, there is no competition between the parks. CP will always get more than any other parks b/c they make the most money for CF. Right! What I mean by the scared Cedar Point fanboys is that some people are afraid that a Kings Island giga would overshine Cedar Point when it clearly won't. They aren't 100% CP fanboys. 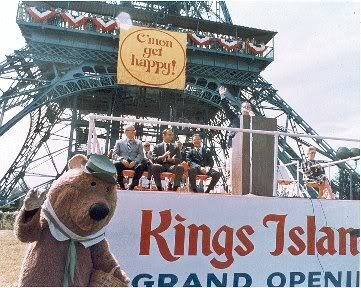 You may consider me a ki fanboy, but I actually like CP better than Kings Island. KI is my home park and a giga is my dream Kings Island doesn't have a strata, blitz, an impulse, a wing, a dive, or a monsterous RMC. A giga at Kings Island would do no harm to Cedar Point or Cedar Fair in general. Cedar Point will still have the most attention by Cedar Fair even if ki gets a record breaking giga coaster. That is hilarious! Yes we all want different things in the park and have different ideas. That's because we live in the great USA! Haha anyway I hope for a giga as well! FAKE! Just went on the webcams and it doesn't say it! The screen shot was from yesterday morning, I'm not saying that it wasn't photo shopped, I have no clue, but in case you are not from the area, there was a ton of freezing rain and/or snow that swept thru the area last night, so what you see this morning (snow wise) isn't gong to reflect what you saw yesterday (snow wise). I'm not sure where exactly KI sat on the ICE/snow line last night, I-71 was roughly the dividing line, there was 4+ inches of snow 15 minutes to the (due) North of KI and the mostly ice 15 minutes (due) South of KI. I assume KI saw a little bit of both, enough snow to wash away any words left in the snow the prior morning (or Monday morning since it snowed Sunday night as well). simply look at the railway ties and notice how much snow accumulated b/w "right now" and the time posted on that picture, at least a couple of inches at KI, plus likely some freezing rain. See the spoiler alert under Gannersdaddy's picture. It's a joke. Since we're talking about Dive coasters now, I'd rather see one come to KI than a giga. B&M would be nice, but depending on whether or not Bangtime is good, I'd also love to see a Gerstlauer come to the park (there's not much diversity... 2 B&Ms, 3 Arrows, 3 Vekomas, 2 Premiers, a PTC, GCI, and an in-house, with many manufacturers doing multiple KI flats as well). A great place for one really would be in Action Zone in part of SoB's unused plot. The terrain is fantastic and would make a great place for a wing or a dive. Just please, make them better than GateKeeper/Valravn, we don't need mediocre rides. I would rather have a Mack launch if its not a giga. The only place I think of a dive going is in Vortex's spot. (I know I will get beat up for saying this). It's just that Vortex's area has a perfect area for a dive coaster. I think the giga will come first before a dive. I live just 5 minutes from Kings Island. I at first thought it was from today. Yesterday morning I don't think they had snow there. I think it's photoshopped. Someone could easily take a screenshot and edit it and put it on KICentral to throw people off. Which is exactly what he did AND admitted to it in the spoiler box at the bottom of the post. In other words, it was a joke. guess it was fake, but I shoveled by driveway monday, tuesday and this morning (though tuesday wasn't much snow, not sure if KI got much). Looks like it doesn't matter, nicely played, but if I was the park, I would have done that just to drive people crazy. Giga - Dive - Wing - Hype(er) - GCI - B&M - RMC - etc.. If you guys know me then you know that I'd love a dive coaster at KI. I know its not likely in the coming years, especially with speculation of a giga, but its just a dream of mine. I'm actually kinda shocked that there hasn't been talk of Kentucky Kingdom or Holiday World looking into dive coasters as both parks could benefit from having them. ^Do you think for those smaller parks a B&M Dive would be a little too pricey for them I am not sure if any other mfg make dives. I would love to have a giga at KI before anything else. Well other then an Intamin Cowboy coaster.